This article is part of the “Two Weeks in Japan” series and follows Two Weeks in Japan, Part 1: The arrival. It was the evening of August, 10th. We had just dropped our bags at B&B Juno and the owner, Ian, had given us information about the neighborhood and the main landmarks in Kyoto. Since we were very tired from the trip, we just went out for a stroll and dinner. We had dinner at Kamon, a funny sushi place that Ian had labeled as inexpensive in the sheet he gave us. When we entered the place, it was empty apart from the employees (all of them older than 50 years) who were clapping their hands while one of them was dancing in the middle of the restaurant to the sound of some music show in the TV — priceless. The sushi was not the best we had tasted, actually the rolls were not the perfect round shapes that are so difficult to get right but anyway, inexpensive, fairly good and friendly staff. The next morning we woke up early to start what would become a long but pleasureful day. Given the nice location of our B&B, we had a plan: visit a few temples along the Philosophers’ Path while heading to the picturesque district of Gion (known for geisha entertainment). The first temple we visited was Ginkaku-ji — the Silver Pavilion. This temple has a nice Zen garden and a path through the hill nearby which gives us a view of Kyoto’s landscape. Since this was our first time at a Japanese temple, it blew our minds; Japanese temples are very beautiful and do their job well: they transmit peace of mind and simplicity, we always felt relaxed in them. 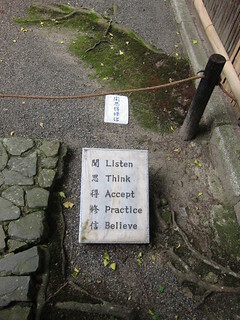 After Ginkaku-ji, we visited a smaller temple called Honen-in which had the cool sign you can see in the picture. Continuing our path we visited a shrine called Otoyo-jinja (which was dedicated to rats and had many cool statues of these animals) and we passed by Eikan-dō. The Eikan-dō temple had a really nice garden with ponds and koi fish and we could also enter some of its houses. After such a long walk it was lunch time so we had one of many “supermarket lunches”. In Japan they have very good, ready to eat meals at any supermarket, just choose your favorite sushi box or compose your soup on the spot. Sushi boxes come with chop sticks and, in case your meal should be warmed up, the friendly shop assistants will do it for you as any supermarket has microwaves. Last but not least, many supermarkets also have small tables outside of it for you to seat down and eat your meal peacefully. Summarizing, if you go to Japan, try the supermarket meals, you’ll save money and it is part of the experience. Like most Portuguese people, I am very picky with coffee and I love a good coffee after a meal which is not very easily found at a good quality and reasonable price in Japan, hell, it is like that in most places apart from Portugal 🙂 So how did I get my caffeine fix you might ask? By drinking bottled/canned cold coffee. 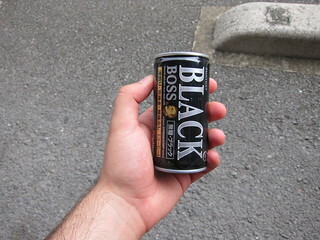 These cans cost around 100 ¥ (1 €) and, since the weather was really hot, tasted good enough to me. After lunch, we passed by the huge torii gate nearby and visited the Heian Jingū shrine which had a big open yard and two fountains and, on our way to Gion, passed by the big Sanmon gate (which reminded me of Akira Kurosawa‘s movie Rashōmon) and visited the last temple of this day, Chion-in. The Chion-in temple was undergoing repairs which is why I suppose we didn’t have to pay. In there we could see the ongoing Buddhist ceremony and walk on the nightingale floor. Nightingale floors were created during feudal Japan and are floors engineered to make the nightingales’ chirping sound which is accomplished by a system of nails scratching against their clamps and triggered by our weight and motion when we walk on them. It was used as an alarm for ninjas and thieves. How cool is that!? Later we heard living nightingales and their chirping was indistinguishable from the floor’s, at least to me. 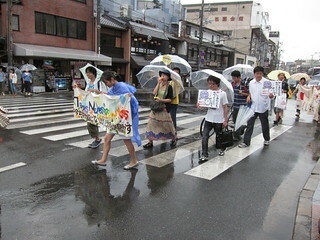 Muruyama park was all that was standing between us and Gion so we crossed it and found a small demonstration against the use of nuclear power. Gion was a busy but nice district. We had a nice stroll along the river side together with many people dressed in traditional costumes. At some point we saw many people lining up to buy something that resembled baked dough on a stick and looked sweet and delicious. We lined up too and bought two of those only to find out it was made of rice and tasted salty; I ended up eating both of them. We visited a bit more of Gion and found a music store at a mall where we listened to some CDs from artists unknown to us. I had about three Japanese bands in my music collection before going to Japan (MUCC, Maximum the Hormone and Mad Capsule Markets) and discovered a new one I liked by going to this store: Nothing’s Carved in Stone. That night we ate at a nice resting area inside the mall — yes, with tasty food from a gourmet supermarket — and walked back to our B&B for about an hour. The next day would be our last day and night at Kyoto so we had a tight schedule. 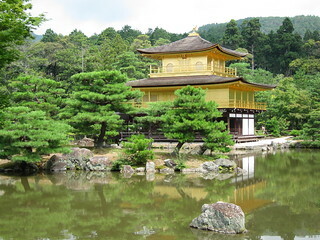 We started with a visit to Kinkaku-ji — the Golden Pavilion. This temple is definitely worth a visit. As the name suggests, it is really a golden temple; it is so scenic that it looks like something from a movie, just look at the following picture. At the Golden Pavilion we also were impressed to see that there was an employee dressed in a guard’s uniform whose job was picking every little piece of paper flying around with the help of wooden tongs. The next stop from the temple (by train) was the bamboo grove. Everyone who watched any anime show about ninjas or samurais remembers some scene about people fighting in a bamboo grove. This was the kind of scene that came to my mind when visiting Kyoto’s bamboo grove. Despite the awful hot weather, it was a really nice place for a walk, there is a forest and a river nearby with pleasure boats to rent but it was really hot and it was lunch time so we didn’t try them. Since that day was my birthday, the next “appointment” in our schedule was actually my own birthday gift, a visit to Kyoto’s International International Manga Museum. Ian had warned us that the museum was more like a library but I still wanted to go there. He was right, it had big book shelves everywhere and unsurprisingly most of them were in Japanese but I could still see some Manga techniques and get a good grasp of the evolution of styles in Manga. Part of the museum’s attraction to me was seeing the many cosplays in there and they were more than happy to take a picture with a western so there you go. The Manga museum was 800 ¥ (8 €) and, although I did like it, it was not that awesome so you should just go if you are really into Manga. The last attraction of the day (and the last temple we visited in Kyoto) was Fushimi-Inari Taisha and it is impressive! We visited its temple but the really magical part is the path through the countless torii gates across the mountain. The place is easily reached by train and definitely worth a visit. We didn’t stay long though because it was already dark and bugs were eating Helena alive so we had to quickly escape and reestablish our strength with another tasty dinner. Back to Kyoto by train we hoped off at Kyoto’s Station where I noticed some funny messages in English written in a mall’s entrance sign like “I’m in a good mood full of joy” or “Things I want to have-there are a lot of them here”. Kyoto was a very nice place with many beautiful things to see and a fairly relaxed pace. Like most Japanese cities we visited, it was extremely clean and safe: bikes parked without a lock, people in the bus leaving their belongings in the seat while they went to the front of the bus to exchange money, etc. Many of the temples have an entrance fee that does not usually go above 500 ¥ (5 €) and the city is also a good base for visiting areas out of the city in day trips. The three nights we spent in there weren’t nearly enough for so many great landmarks so if I ever go back to Japan I will try to stay a few days in Kyoto again. Ever since I can remember, I was always fascinated by Eastern Asian cultures. Like most kids, I loved martial arts movies, but I was also a fan of many other things. Before I had an internet connection at my parents’ home, and information was not promptly available, I would relish any movie, documentary or book about Eastern Asia; it didn’t matter if it was China, Korea or Japan. During Expo ’98, in Lisbon, the 13 years old me forced my parents to wait in line for several hours to visit the pavilions of Japan, Korea, China and Macau. Even nowadays my father mentions it (in a friendly “you owe me” tone 🙂 ) whenever we talk about those countries. Then this attraction for Eastern Asia was “specialized” more in Japan mainly because of anime. 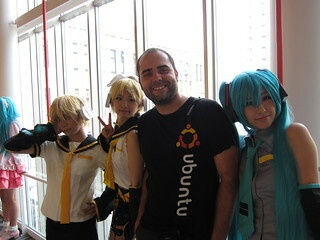 I had access to the most known anime series in Portuguese TV. I was particularly a fan of Dragon Ball (like everybody else), Evangelion and Rurouni Kenshin. During those times, the magic of internet entered my parent’s place, with the nostalgic connection noise of dial-up, and I could search everything I wanted about Japan and eventually learned a bit of Japanese (most of which is now forgotten in some hardly accessible part of my memory). During that time, I always thought that one day I would go to Japan (not discarding, at the time, living there). This visit finally took place during two weeks in August, 2012. 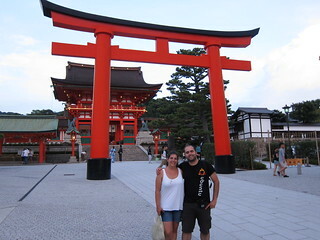 As I wrote before in an other post, Helena and I had planned to visit Japan during our honeymoon in 2011 but due to the Tōhoku Earthquake, this destiny was replaced with Turkey whose series of articles you can read here. Finally, early this year we decided that this year’s trip destiny would be Japan and here is the first of the articles about this trip. Since Japan is an expensive place and people always ask about the prices, I will try to mention prices more than in other articles. When we went there, the Japanese Yen value had risen in comparison with the Euro so 1€ was worth less than 100¥ but we kept this 1 € — 100 ¥ rate in mind for the simplicity sake. We got our round-trip plane tickets in the end of May for around 850 € each (together with insurance), which means they could have been cheaper but still they weren’t much more expensive than their early purchase price. We flew from Barcelona as in Coruña there is only one international flight but we took this chance to visit Catalonia’s capital so the domestic flight’s cost was compensated this way. 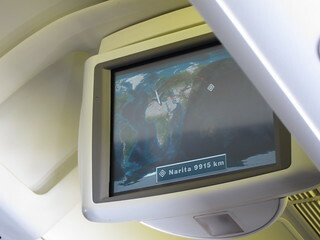 We flew with Alitalia so the trip was Barcelona > Rome > Narita (Tokyo). Needless to say, it was a long flight, the longest I have ever taken: about 15 hours since we left Barcelona. We were excited for being in such a big plane for the first time and I was surprised that the small screen in front of my seat had video-games that could be played against other passengers. The only bad thing, apart from the time, was that my seat’s head cushion kept me in an uncomfortable position, making my back hurt. We arrived at Narita on August 10 at 10:30, passed the passport control and, since we took our huge backpacks as hand luggage, readily proceeded to validate our JapanRail (JR) passes. We acquired our JR passes from the very efficient website JRPass.com; in 3 days we had our passes. We validated our passes at Narita Airport and asked the assistant how to get to Kyoto (our first destination in this trip), he was very quick, nice and helpful, and told us that we should change trains at Shinagawa Station instead of Tokyo’s because it was smaller and less confusing. 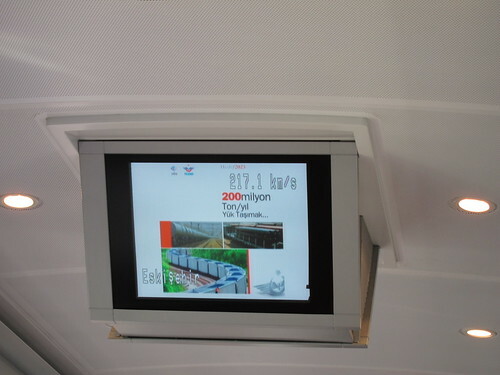 This was also the first time we witnessed the Japanese Railways efficiency. Many trains were cleaned as soon as they arrived at the stations. 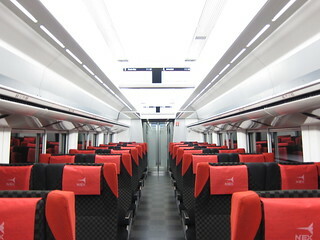 It was funny and impressive to see that the trains’ seats can be rotated so passengers always travel facing the destiny. Of course, the trains were very punctual, if it said that a train was arriving at 17:07 it would! Like everything in Japan, trains were neatly clean, no written tags, no scratches, no stains, no lost chocolate wrapping papers, the trains seemed like they were coming right from the manufacturer. Another nice thing is how silent the trains are, even moving between the trains’ cars, which usually is noisy, was much more silent than in most trains I’ve taken in Europe. Summarizing, I love to travel by train and JR trains are the best. 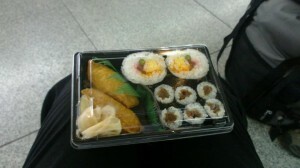 At Shinagawa Station, we took the first of many sushi lunches, from one of the station shops for about 500 ¥ (~5 €) after our first visit to the ATM to withdraw money. We didn’t take Japanese Yens from Spain and we also do not like to get money at currency exchange offices as usually withdrawing it from any ATM will give us better rates. In Japan one needs to carry money as many places do not accept cards so what we did was to withdraw a large amount every once in while. The ATMs that work with our VISA cards were the Japan Post (JP) ones, do not bother with trying others. Around 16:30 we arrived at Kyoto. We were staying at B&B Juno which is a 30 minutes bus ride from Kyoto’s JR Station. The buses system is different from most of the places where I took city buses. Luckily, there was a “western” person in the bus and after exchanging the first couple of words in English with him, we realized he was Spanish and switched to this Romance language. He was from the Basque Country and asked us if we were Galician which is always funny when this happens to us; anyway, he explained how the bus system worked: In Japan, you hop on the bus through the back door and you pay when you leave the bus, not when you are entering. Also, the bus driver will not do the change for you, there is a machine next to the driver that will exchange money for you and after you got the right coins, you pay the exact amount on a different slot in the same machine. In the case of Kyoto’s city bus, a single trip was 220 ¥ (~2.2 €) and a whole day ticket was 500 ¥ (5 €). Places are not easy to find in Japan. Turns out that houses are given a number by the order they were built, not by their place in the street which means that house #1 can be incredibly far from house #2, this explains why B&B Juno had such detailed instructions to get there. I brought all this info in my phone, so I asked the driver to tell us when to hop off the bus, followed the instructions as if we were on a treasure hunt and so it was easy to find the place in the end. B&B Juno was the best place we stayed during our entire trip in Japan. It is a Japanese house run by Ian and his wife Sybilla. Ian is a Canadian who moved to Japan more than 20 years ago to teach English at Kyoto’s University. He speaks and writes Japanese and was also the editor of a tourism/culture magazine in English about Kyoto so he kindly helped us plan our trips. During breakfast we would talk with Sybilla about different countries and cultures (she is Austrian and has lived in a number of different countries) which made things even more interesting. 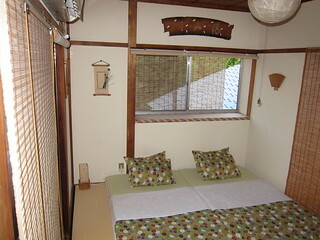 The house was very nice, located close to the Philosopher’s Path and many temples, it was also the first time I slept in a traditional Japanese room. With affordable prices (for Japan’s standards) of 5000 ¥ (~50 €) per person, if you are staying in Kyoto, I advise you to stay in B&B Juno, especially if it will be the beginning of your trip and you might appreciate the help of an English-speaking person. Kyoto is an amazing city, with many things to see and to talk about so I will leave those for the next article. This article finishes the “A Couple of Weeks in Turkey” series and follows A Couple of Weeks in Turkey, Part 4: Cappadocia. As I said in this series’ previous post, the Ankara visit didn’t go as planned. 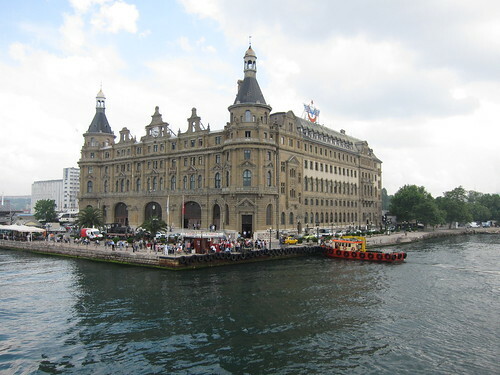 Our plan was to visit the city during the day and take the night train to Istanbul. I had read that the night train was really something to try so as soon as we arrived at Ankara we headed for the train station to buy the night train’s tickets and guess what… the wonderful night train was full! Those were bad news, so after talking with Helena, we came to the conclusion that the best plan was to go to Istanbul on the next train. Of course, we didn’t have a place to stay at Istanbul and we would arrive there late that same night. Fortunately I had written down the phone number of the hotel I had booked for the day after that one. I bought a public phone card, called them and, to our relief, they had a free room for that night. Now all we had to do was to wait a few hours for our train to Istanbul and we stayed at the station during that time because we couldn’t risk missing the train (and Ankara doesn’t really seem to have much to see, I was pretty much only interested in visiting the Atatürk Mausoleum). Finally the train came, it would be another long trip and we would arrive late (at 11pm supposedly) but Helena and I had our first dinner ever at a train (at the train’s restaurant, that is), so it wasn’t all bad. What’s the worst you can do when you already know you’ll arrive late at the wrong side of the city (wrong continent, actually) and you’re pretty much confident of your travelling Turkish language skills? Hop off on the wrong station, of course! So we hopped off and it took us some long 5 minutes to realize I was wrong. Now I was getting nervous, I didn’t know how far from Istanbul we were, nobody seemed to speak English enough to understand me and the pride I had in having learned some Turkish was gone, leaving a trail of shame. After being told there was still a train to Istanbul that night, we bought new tickets and went to the platform. Finally we arrived safely at the train station and now there was another challenge for us to face: how to get the other shore. It was almost midnight and we didn’t know when the last ferry to the other shore departed so we asked one of the passengers that was leaving the train station like us and he told us we needed to rush because we had perhaps 10 minutes or so to catch the ferry. We were so tired that we gave up on that idea and instead decided to take a cab. The designated cab driver didn’t speak much English so another driver helped us with the negotiation. The price was 40 TRL (~20 €) to take us to our hotel in Sultanahmet, I still had energy to bargain but the driver was inflexible, “40 lira it is!” I said. Bargaining is funny, there were a couple of unsuccessful deals (as in, the salesmen would not give in) but we always got a good enough price. Helena was astonished by all the materials, both in quantity and in variety, she could find for making her crafts. Helena bought these All Star shoes for 30 TRL (~15 €) and in purple, the color she loves and couldn’t find before. However, when we arrived at the hotel, we realized that one of the shoes didn’t have the Converse logo… Helena really loved the shoes so we headed back to the bazaar and found the salesman (just a boy, actually) who looked very embarrassed and swore he hadn’t sold those one purpose (I believed him). He made a phone call and soon after somebody came with a new, perfect pair. These last days we also found a really good restaurant in Sultanhamet. It is called Doy-Doy and we loved it so much we went there twice. The restaurant is in fact a building with several stories and we had dinner at the terrace. What is also incredible is that the kitchen is at the ground floor and there’s no elevator (not even a food elevator) so one of the waiters goes up and down all night. The price is good, the food is marvelous and the views of the Blue Mosque make it only more awesome. Go there if you have a chance. We also passed by a famous calligraphist close to the Çemberlitaş Hamamı where I bought a plate with “Família Rocha” written on it for my mom. 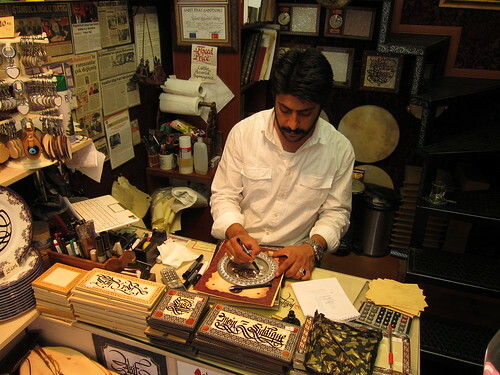 I know the calligraphist had a webpage that I once visited but I cannot remember what the shop’s name was, my attempts to find it on Google were unsuccessful as well but you can see his picture below. Still, it is easy to find if you pass by the Hamamı and is worth to go there instead of a street calligraphist as this guy is much better. On the June 27th 2011 we boarded on a plane back to Spain. 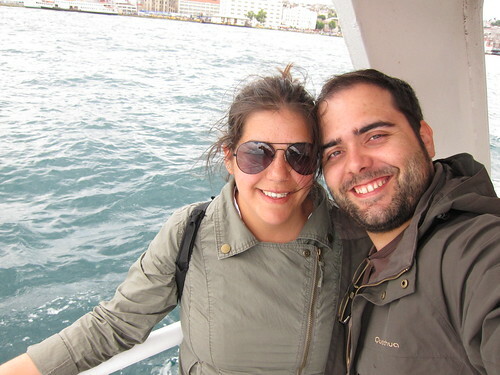 We loved Turkey, its people, its food and its beautiful landscapes and culture. I hope we go back at some point and I totally recommend it if you want a mixture of European and Middle-east cultures. 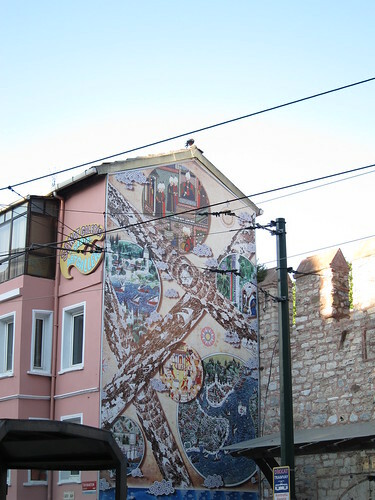 This finishes the series of articles about our Two Weeks in Turkey in the summer of 2011. Just like the Interrail series, it took me almost a year to wrap it up but hopefully I covered most of our little adventures in this amazing country.